Is your iPhone speaker not loud enough for you? Don’t want to lug around a hefty set of portable speakers? 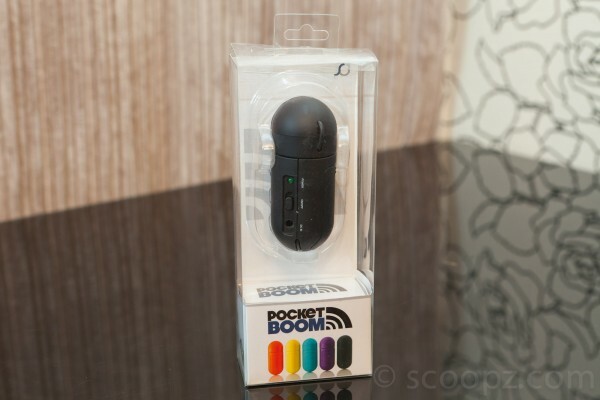 Then look no further than the PocketBoom portable surface vibration device which turns almost any surface you can think of into a speaker. It’s pretty simple, all you do is unwrap the vibration head from the main battery unit and stick it to a large surface. 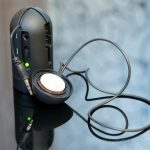 The other end goes into the headphone socket on your iPhone, iPod touch, iPad, or any other generic MP3 player or device with a standard 3.5mm headphone jack. I bought the first generation iPad on UK launch day way back in 28 May 2010 and since then have upgraded to the iPad 2, again on launch day and have the new iPad (aka iPad 3) pre-ordered for delivery this Friday 16th March. 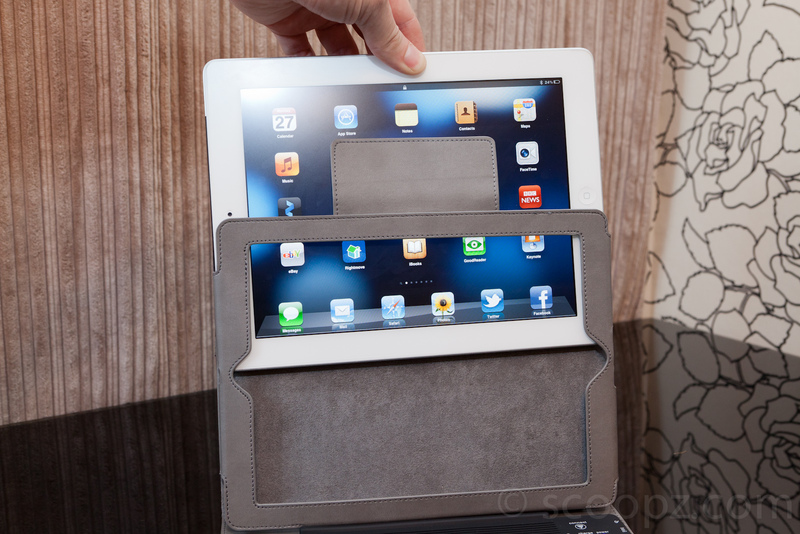 I love the iPad, it filled a gap between my iPhone and MacBook Air that I didn’t know was there. 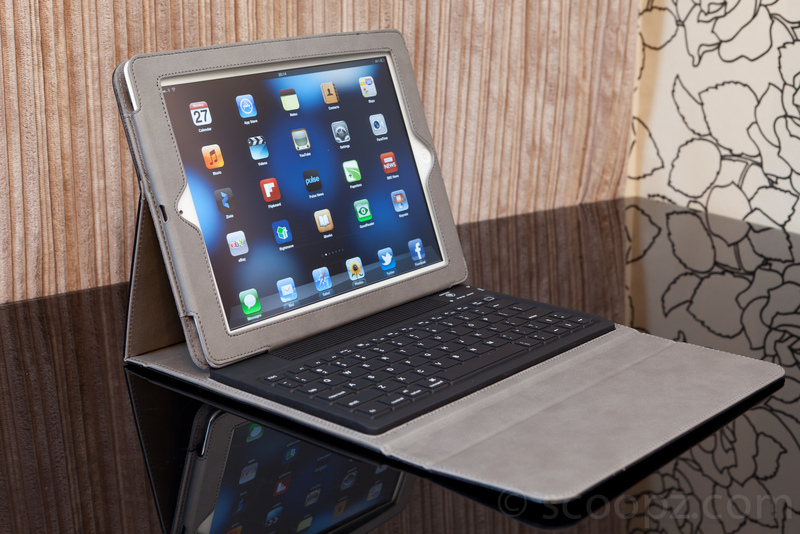 In a similar way, the KeyCase iPad 2 Folio Deluxe case with built in bluetooth keyboard fills a gap for an iPad case that I didn’t know was there. 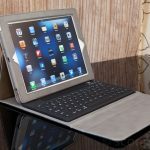 Whilst this review relates to my iPad 2 paired to a bluetooth keyboard case, the majority of the benefits I discuss in this article would equally apply to a Samsung Galaxy 10.1 case with built in bluetooth keyboard or a Kindle Fire case with built in keyboard (if such a thing exists). 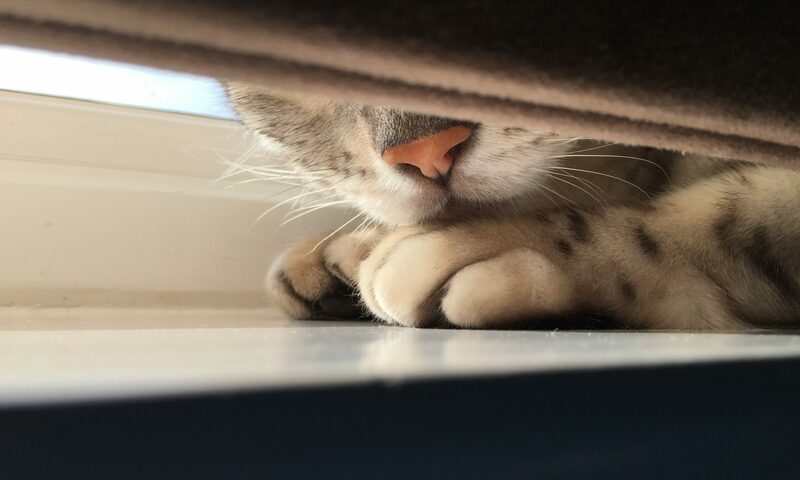 I’ve never had a problem using the iPad or iPad 2 onscreen keyboard, it’s fast and responsive and the keys are a decent size (in landscape mode at least) but I would never dream of using the iPad on screen keyboard for anything other than quick email replies, form filling, brief note taking etc. For anything that needed more than 5 minutes of keyboard time I’d bring out the MacBook Air which is far easier to speed touch type on and get a lengthy email, proposal, blog post or report typed up. The larger spare SATA drives are soon to be put to good use in my new DROBO S which I just received and will review shortly but the older IDE drives were the ones that were really mounting up and beginning to gather dust. I have a generic IDE/SATA to USB adapter for testing the drives and securely erasing them but it’s a clunky bit of kit that lives in a drawer by my desk. I decided the smaller form factor 2.5″ IDE drives taken out of old laptops would be handy in an enclosure to add to my portable USB drive collection. I already have 3 USB Freecom Toughdrive(320GB, 500GB and 750GB) which in my opinion are the best portable drive that size, they don’t require power but most important for me is they have nicely integrated USB cables. So I don’t need a fancy enclosure for these old 2.5″ IDE drives, one 40GB and one 60GB, they’re just going to be spares so I set about finding the cheapest 2.5″ enclosures that I could on eBay and came up with a winner. 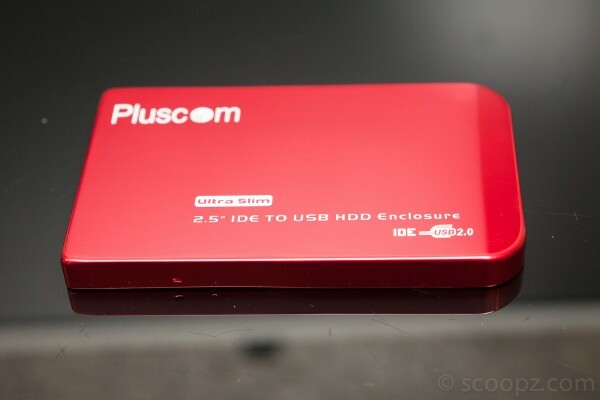 These Pluscom 2.5″ USB 2.0 Aluminium enclosures couldn’t get much cheaper at £3.80 including delivery! I opted for one silver and one red just so I can tell them apart easily. I ordered them from the same seller and both were delivered the next day and I am pleasantly surprised with them.